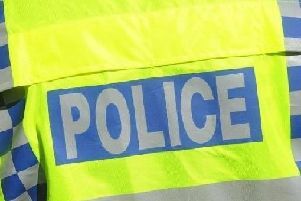 A murder inquiry has been launched after a 26-year-old man died this morning following a stabbing in Aylesbury. Police officers were called to a property in Brompton Close at about 10.50am on Monday to reports that a man had been stabbed. The victim, a 26-year-old man, was taken to Stoke Mandeville Hospital. Sadly, the man died in hospital in the early hours of this morning. His next of kin has been informed and are being supported by specially trained officers. The man is yet to be formally identified at this time and a post mortem examination will be carried out later. An 18-year-old man from Aylesbury was arrested on suspicion of attempted murder yesterday. He has now been re-arrested on suspicion of murder and is currently in custody. Investigating officer, Det Insp Andy Shearwood of Major Crime, said: “We are carrying out a thorough investigation into this tragic death so we can determine what happened inside the address in Brompton Close yesterday. “We believe this to be a domestic incident and therefore there is no risk to the wider public. However, I understand that serious offences such as these will have a dramatic impact on the community, therefore we will be carrying out reassurance patrols in the area, so if anyone has any concerns please speak to a police officer or police community support officer. “There will be a police presence at the scene during the next few days as we continue our investigation. We will also be carrying out house to house enquiries in the area. “Anyone with information about the incident should call the 24-hour Thames Valley Police enquiry centre on 101.